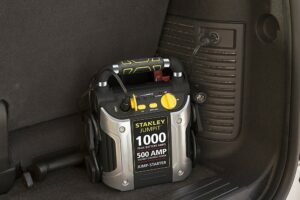 Sometimes, it may happen that the charge of your car battery is too low to start up an engine. 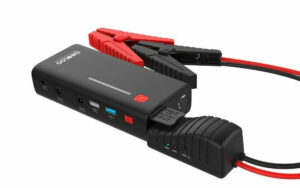 It happened to me and I decided to buy a jump starter. 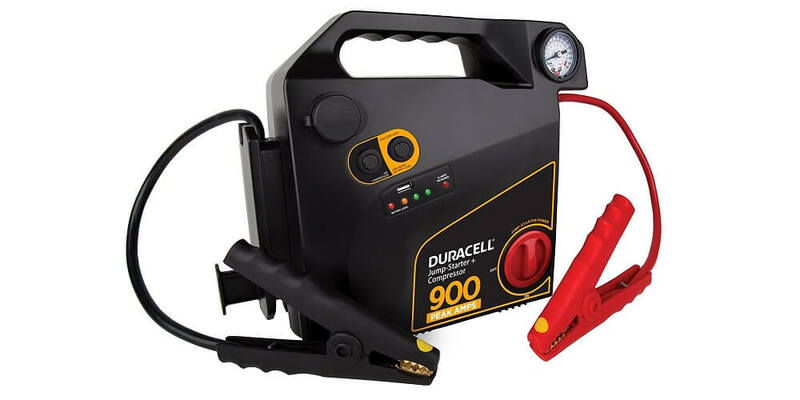 I have used different popular lithium jump starters, but Duracell Portable Jumpstarter amazed me. 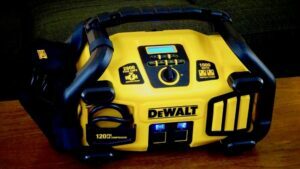 It is a reliable device that is powerful enough to start up an engine of my car. 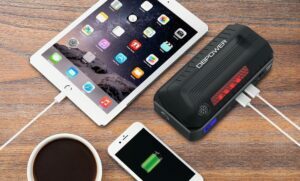 The device is manufactured by Duracell, which offers first-class electronic solutions, and that was one of the factors that helped me choose the device. It looks very attractive. 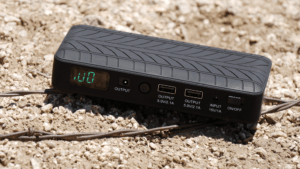 It does not have any LED displays and it does not need it. 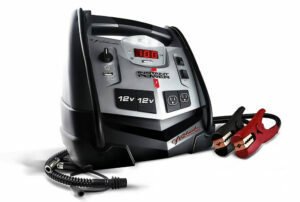 It has a very powerful air compressor that can be used to inflate tires. 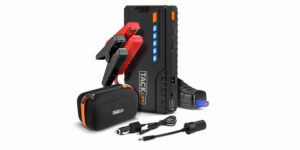 It makes this device very useful, especially if you are away from an automobile repair shop. 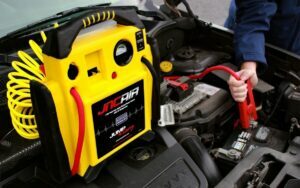 You need to have a jump starter if you have an old car or your battery is not new. This device is relatively heavy but that is not an issue, since it has a very ergonomic handle. All outputs are covered with rubber so it is very safe. 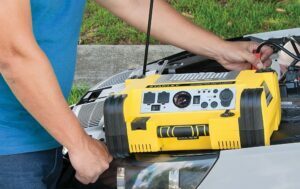 Another important feature of this device is the LED work light. 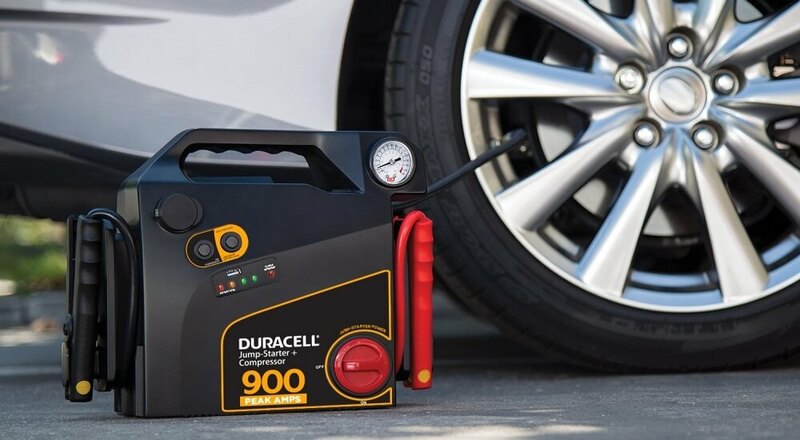 The Duracell Portable Emergency Jumpstarter works great for roadside emergencies. 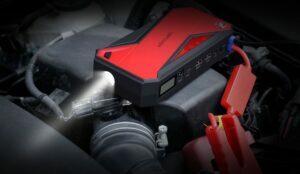 Its self-contained jumpstarting capabilities allows you to jumpstart 4, 6, and 8 cylinder engines without another vehicle. 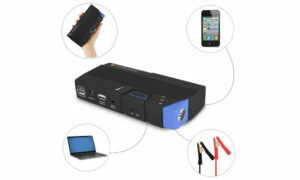 The included USB port also allows you to charge your smartphones and tablets on the go. 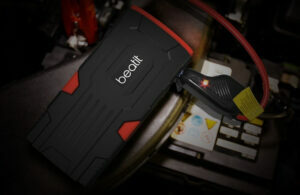 The peak power is 900 amps. It is enough to start up engines which have 8 cylinders. The copper-clad clamps are built-in. It features a special indicator that shows if the clamps are connected improperly. 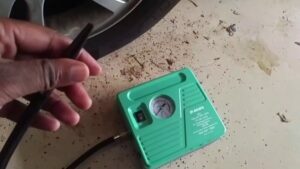 A 160 PSI air compressor with a gauge that shows the pressure. 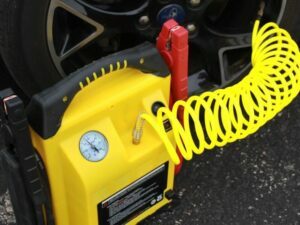 It can be used to inflate car tires or other equipment. A USB port can be used to charge different kinds of devices. A LED indicator that shows battery charge. The weight is 13.5 pounds. Only one USB port. It may be not enough. No LED display with important information. 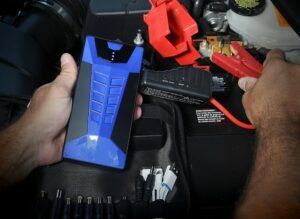 A non-standard battery is used. It may be difficult to replace. 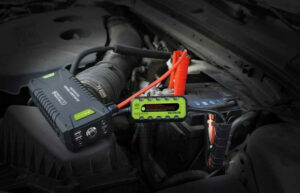 This is a reliable device that is able to help you start up an engine of your vehicle. It was designed by a company that has already proven their expertise in equipment manufacturing. 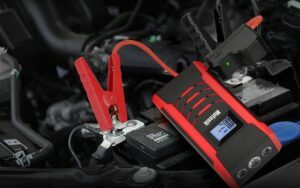 Everything is possible and sometimes you may need to jump start an engine of your car. 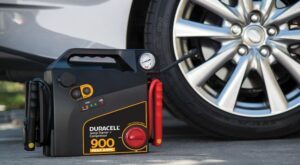 Duracell Portable Jumpstarter has all features that a jump starter should have, plus it can be used as an air compressor or to charge a device you have (like a laptop or a smartphone). Therefore, it can solve a range of problems. 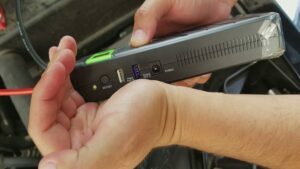 Of course, it has a non-standard battery and it is quite heavy, but it is still a super reliable and useful device that every driver should have. You never know what may happen, so it is better to be ready for everything.